I was given access to a de-comissioned film archive from which I harvested all of the STMPE Countdown Sequences. I printed these photographic enlargements, which capture the distressed condition of the decaying celluloid. 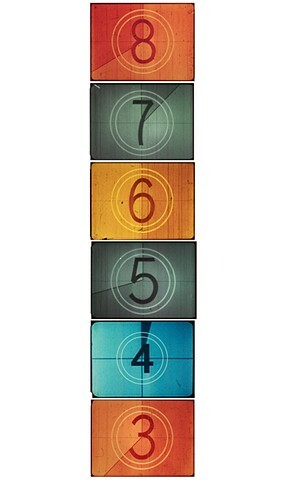 Each image in the column is a large format print of an individual 16mm film cell.